Do you know a nerd that is having a baby? Well, problem solved. 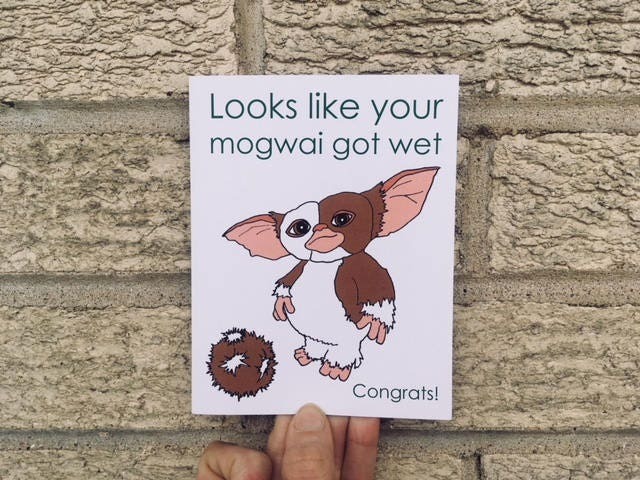 Pop-culture inspired from the movie Gremlins. This A2 card was hand-drawn and digitally colored and printed. It comes with a coordinating envelope (colors may vary) and a protective cello sleeve. It will ship via USPS First Class mail in a cardboard mailer.